David Duchovny at Gramercy Theatre, New York, NY, 3/1/2017. 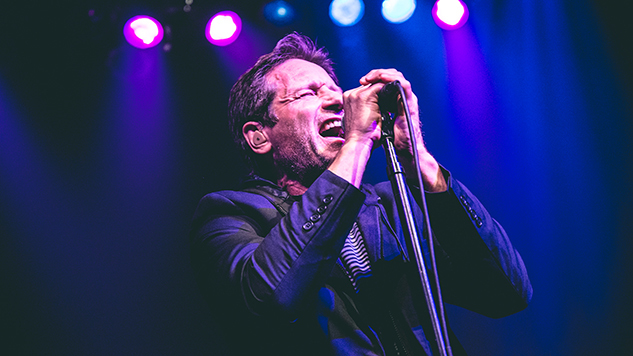 Under the motto “Come for the actor, stay for the music,” David Duchovny recently played a smattering of dates in support of his 2015 debut, Hell or Highwater on ThinkSay Records. The X-Files and Californication leading man picked up a guitar in the last decade during long stretches in trailers, learning the instrument and putting years of poetry to music. The resulting tracks constitute affable alt-country, folk and soft rock in the wheelhouse of Wilco or Lyle Lovett. Photographer Julia Drummond caught Duchovny at his Gramercy Theatre stop in New York last week to capture the breezy set in the gallery above.